There is a consensus in the Prime Minister’s Cabinet that when he proposes some meek solution reeking of timidity their response resembles the bobble head dolls in the rear window of a car hitting speed bumps. That is the problem, as it appears that none are willing or able to bring forth solutions which could actually end any one of the threats facing Israel. So, perhaps our first explanation would be to give an idea of the threats facing Israel of a military type. The most obvious and potentially devastating is that of the Iranian armed Hezballah which has defeated the Christians as most of them fled to Israel, Europe, Canada or the United States allowing Lebanon to go from 80% Christian to likely over 80% Islamic with the majority of those supporting the Hezballah terrorist army. Adding to this threat is the fact that Hezballah would be armed by the Lebanese Army’s weaponry should they face Israel once more and that would include such weapons as Apache helicopters and Abrams Main Battle Tanks as well as a plethora of other American and Russian weapons and anti-tank grenades. Fortunately, Lebanon does not have much in the way of an air force outside the helicopters, which alone are a formidable weapon system in the right hands. 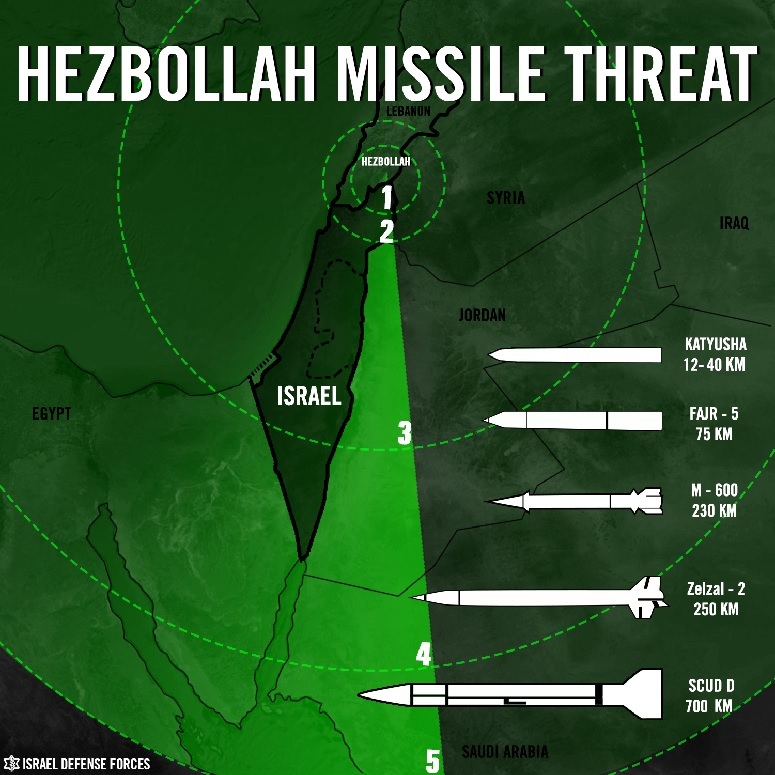 Additionally, Hezballah has over 150,000 rockets and missiles of varying sizes, ranges and capabilities. Iran has been providing them with targeting systems to make their rockets into guided missiles making for an even greater threat as they would be capable of targeting within fifty-meter accuracy or possibly better (see image below). Additionally, Hezballah has an extensive bunker and tunnel system allowing their fighters to appear and disappear after ambushing IDF troops. Any advance into Lebanon by ground forces would run high risk of casualties in excess numbers such that it has been considered overly risky. In the south, Israel faces a problem of her own making. We are referring to Gaza and the Hamas and Islamic Jihad threat, of course. This was facilitated by the presumably great idea originating from the State Department and Condoleezza Rice who was the Secretary of State under George W. Bush. The concept was to have Israel completely pull everything from Israeli established communities and all IDF from Gaza gifting them with fully functioning greenhouses and an established trade in the hundreds of thousands allowing the Palestinian Authority (PA) to make a grand showing of how they would function as an independent state. This was accomplished by the middle of September of 2005 and within two years the PA had lost control as Hamas took over in a bloody coup. Since then the means of controlling the threat from Gaza has been to periodically, when rockets and other attacks became sufficiently severe a threat, to have the IDF enter Gaza and destroy much of Hamas weapons systems. This was, as intended, always a temporary solution just as the IDF operations in southern Lebanon were but a short term fix. In both cases, Hezballah to the north and Hamas and friends to the south, these resulted in an ever-escalating threat potential and now both are becoming existential threats to Israel. The solution of simply mowing the grass has reached the point that simply continuing with this strategy has reached a point where it has become problematic due to the growing threat each poses. The General Staff now advises that they are incapable of reacting to the threat from Gaza without leaving the north vulnerable to an attack by Hezballah. The northern threat has been further complicated by the presence of Islamic Revolutionary Guard Corps (IRGC) and the Quds Force in Syria as a further menace which could join any Hezballah offensive. The big question is why did this situation come to pass when even the most casual of observers could have predicted this eventual outcome. The explanation has an expected reason driving this line of reasoning, and it is purely political. The current leadership starting with Prime Minister Netanyahu has long realized that as long as these threats are present, then elections will have the expected outcome of placing the same people in the positions of power, specifically the office of the Prime Minister. Bibi Netanyahu has established that he alone is capable of managing these threats and as such has held an iron grip as the leader who has the plan. Well, that plan has officially failed, and even his Cabinet has reached this conclusion. Still, in the public eye, he is still viewed as the best available choice of those who could be Prime Minister and it is still likely that Prime Minister Netanyahu will be forming the next coalition after the elections coming within the next year. This is likely despite the current escalation by Hamas in the south with the incendiary kites and balloons torching much of the southern farming region into burned stubble ruining an entire year’s harvest. This has the population residing in the cities, towns and kibbutzim extremely upset that their lives have been sacrificed to the inability of the powers that be to find a solution to this threat. In the past Hamas initiated with suicide bombers which were prevented by fencing the entirety of the Gaza border. That led to rocket attacks which were countered with the expensive but extremely efficient Iron Dome systems. This led to the tunneling into Israel to ambush or kidnap civilians and military alike which was countered by extending the barriers deep into the ground, something still being installed. Further, Israel developed technology for detecting these tunnels allowing for them to be destroyed before they could be used. But the simplicity of kites and balloons carrying incendiary devices has stymied the experts thusfar. Still, any threat from Gaza cannot and should not be ignored as allowing it to continue to develop new and more deadly forms of attacking Israelis is unacceptable. Obviously, a new approach is required. Two recent announcements exemplify the lack of a determined strategy concerning Gaza. These are the statements. On October 24, Defense Minister Avigdor Liberman announced that Israel would resume the supply of fuel. This was despite the fact that rioting on the fence continued unabated. The problem is that Defense Minister Avigdor Lieberman probably had the beginnings of the right approach but after “careful consideration” by those who make these command decisions, Israel was going to appear to be too harsh and might come under threat from other nations and political pressures. The seemingly over-attention paid to what the Europeans and the United Nations or the United States or countless NGOs would think and how they would react has resulted in the lack of fortitude and determination in adopting a consistent strategy. Israel has come to a split in the road which might determine her future and ability to remain a viable nation. One road leads to taking a resolute stand against the threats on her borders and the other is the lackadaisical road of more of the same expecting better results. We can all see that the second road meets Albert Einstein’s definition of insanity, “The definition of insanity is doing the same thing over and over and expecting different results.” The other path is one that would take determination, courage, bravado and a willingness to withstand withering criticism. That final requirement is something which also would risk the continued support of the weakest members of any coalition which may result in the dissolution of the coalition and the electing of a new group based on the left who would offer the serenity and quiet of the renewed old status quo. The difficulty is rallying the Israeli public to support measures which are designed to remove a threat which does not directly or immediately make the majority feel they are threatened. That is a hard and bitter mouthful for a leader to swallow but it is also what defines great leaders. Great leaders do not withstand and hold the evil at bay, they go forth and destroy the evil before it becomes a threat beyond what can be suffered. There will only be one solution to the numerous threats which Israel faces and this starts with the menace to the south and then the menace to the north. Any solution will be met with howls and protestations from almost every direction with the loudest coming from the United Nations and European Union. The reason now is the time in which such a path might be recommended and laudable is due to the fact that the President of the United States would not be amongst those screeching from the sidelines. Waiting for Europe to face a problem even remotely mirroring that Israel faces such that they would be too busy with their threats to care about ours is not a luxury which Israel could survive. It is past time to make a final and decisive stand against Hamas and the mistake of surrendering Gaza by taking back the region while forcing the population which voted by over 80% to elect Hamas as their leadership out of the region. Where they end up should be the last of the concerns of Israel in such a situation. Further, this time Israel should act to minimize the casualties suffered by the IDF and less about preserving Gaza. Hamas has proven that they will never rebuild the apartments and other structures damaged because they used them as launching platforms and instead utilize the provided building materials supplied to build tunnels and bunkers. The first strike in Gaza should be the one area which Hamas has never risked by launching rockets from the area because it is where the leadership and ranking members reside. Start by eliminating their homes and work from there. Once done, Israel should force the population to relocate outside of Israel which would once more include Gaza. The reason Gaza is even in doubt is simply because Egypt occupied it after the 1948-8 War in which they intended to genocidally massacre the Jews as stated clearly by Azzam Pasha who said, it would be “a war of extermination and momentous massacre which will be spoken of like the Mongolian massacre and the Crusades.” Instead of completely annihilating the Jewish State in its infancy, all the Arab forces managed was to take Gaza by Egypt and the Shomron which is made up of parts of Judea and Samaria which Jordan occupied and renamed West Bank to make it sound less Jewish. These regions belong to Israel under International Law from the British Mandate and the San Remo Conference along with declarations by the League of Nations and joined by the United States in the Anglo-American Treaty and adopted by the United Nations under Article 80 of the Charter. We know, we have said this quite a lot, but apparently the wrong people have read it or they are all in denial as they are wont to grant Israel the slightest of favors. We are not calling for carpet-bombing all of Gaza, just the areas where Hamas, Islamic Jihad and their main support is stationed. We would desire destroying most of their ability to resist and then use IDF to remove the remainder of the terrorist base in Gaza. Then, perhaps their main beneficiary, Qatar, the nation paying for the fuel being sent into Gaza, would not mind taking in a few Gazans as they would require a new home as they cannot remain within Israel as their history of belligerence and love of Hamas and other terror groups would make them an instant fifth column. One does not remove the hive and then allow the wasps to take up residence in their living room. Getting somebody to take the refugees which would result from Israel retaking Gaza and refusing to accept the population, as they would be thousands upon thousands of inadmissible and loathsome deplorables, and unlike Hillary’s use of the word deplorables, this time it is quite accurate. No other nation would ever accept thousands and thousands of potential terrorists into their national bosom despite the fact that many of them would demand so of Israel. The time is well past due for Israel to take care of business and stand up against those whose secret desire is to erase the Jewish State from the map. Many do not even make a secret of this desire but they are easily identified as they line up every time Israel actually acts like any of these other nations would act in similar circumstances. One does not even need go that far back to see how other nations responded to what they regarded as a threat to their continued existence or even a threat to their well-being. The United States and numerous allies invaded two nations as a response to the September 11 attacks on the World Trade Center and Pentagon. The King of Jordan killed tens of thousands of PLO and other Palestinian Arabs in response to the Black September attempted coup. President Assad in Syria, both the present one and his father, used chemical weapons and other means to destroy thousands of their own countrymen claiming that they were a threat and that civil war continues unabated today. Iran has initiated wars in Yemen, Iraq and Syria just in order to extend their reach and control of the Middle East on their way to what they see as their eventual righteous victory in the conquest of the globe. In Egypt the military reestablished their control after the dethroning of Mubarak and the placement of a Muslim Brotherhood puppet, Morsi, as President placing Sisi in to replace him. There have been other incidences around the globe such as the occupation of Tibet by China, the consistent threat to South Korea from North Korea, the so-called unification of Viet Nam and the killing fields in Cambodia just to name a few. We realize that Israel does not desire to be viewed as being a vicious country but there must be limits to the level of threat a nation can abide. One cannot allow a threat to fester to the point where it becomes a near impossibility to defeat, and Hamas is well on their way to becoming such a threat and Hezballah is on that threshold. This is the definitive reason why Israel can no longer simply twiddle her thumbs and hope for the best. The leadership must consider what would happen should Iran decide, at the end of the Syrian civil war for example, strike at Israel across the Golan Heights and potentially through Jordan and along the eastern border facilitated by initially infiltrating into the PA controlled regions on the Israeli side of the Jordan River while also commanding that their three main puppets, Hezballah in Lebanon and Hamas with Islamic Jihad from Gaza in a coordinated assault meant to overwhelm Israeli forces before reserves could be fielded. Such an attack would make the surprise attack in 1973 which initiated the Yom Kippur War be a minor skirmish, and that came uncomfortably close to Israel failing to prevent defeat. The main reason Israel survived that war was because the Egyptians had to cross the Sinai Peninsula to reach Israel as it was still held by Israel as a result of the Six Day War in 1967. Israel does not have a similar depth today and thus time and being prepared before such an attack would be virtually a necessity. If such an attack came as a surprise, then it would be a race between Israel calling up reserves and organizing and these forces reaching Tel Aviv. Further, should Hezballah launch her rockets and missiles, that could further hamper any Israeli response. Then there is the problem that should Israel be required to strike at Syrian forces there would be the question of how the Russians would respond and whether they would deploy their advanced anti-aircraft missiles to assist the assault. This is the scenario which must be avoided and the initial step would be removing the threat from within Gaza and restoring Israeli control of that region. The area could be developed with possibly casinos along the shoreline making it a rival to Monte Carlo and the Riviera with family friendly theme parks, miniature golf, concerts outside and develop it into a premier vacation resort. This would be possible as the border with Egypt is relatively secured and should Egypt add their own area on their side of the border, then the two nations could coordinate security making it an ideal venture for both nations. Nothing makes friendlier neighbors than a mutually fruitful venture which produces revenue. The first step is removing Hamas, Islamic Jihad and all other threats from Gaza. 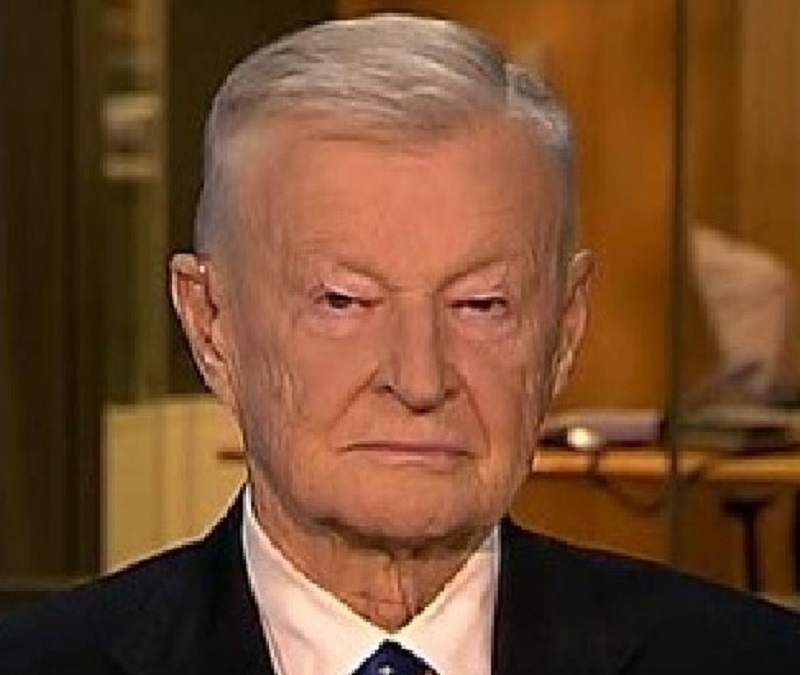 Brzezinski’s antagonism and visceral hatred of all things Israel had led to many surmising that his deep rooted hatred was broader than just Israel but also included any Jews who opposed his Israel positions liking them to traitors who should be ignored at best and prosecuted and exiled at the worst. He had continued his argument bringing up an exceedingly sensitive subject in another quote stating, “We have to be serious about denying them that right. If they fly over, you go up and confront them. They have the choice of turning back or not. No one wishes for this but it could be a ‘Liberty’ in reverse.’” Other reverberations of this theme have been rumored to have emanated from unofficial references from the White House though nobody should expect such a policy to ever be announced nor for orders to be made overt and obvious. The command one is most likely to be found as incriminating would be an alert to the possibility of aircraft overflying air areas of responsibility and the emphasis that such passage be strictly denied. Such an order leaves the commanders free to use whatever level of deterrence they deem necessary after ascertaining the number of aircraft, their formation, likely national origin, expected or announced targets all weighed against standing orders and previously given orders pertaining to such situations. From in Egypt, where “It can’t happen here” initiated, when they first became slaves to the Babylonian exile and Persian Empire, Greek, Rome and lastly in more modern times over the past Century plus a few years, the Czars, the Communists, the Nazis, the numerous other European nations when the Nazis provided the perfect cover, the “What could we do, we were conquered,” excuse. There were records from the Nazi files how the French, Belgians, Polish and others when the Nazis demanded so many Jews the townsfolk, the neighbors, not all but many, often the majority, rounded up twice as many Jews as demanded and pleaded, “take these as well.” The story is always the same, “These are our neighbors.” “We are accepted here.” “They mean those other Jews, we are doctor, lawyers, judges, in the Parliament and whatever other excuse and then the chorus line, “It can’t happen here.” Then the final realizations and the shocked “How could this happen to us, we were so sophisticated, successful, accepted and members of the community, respected…” but lastly you know what they were; Jews, Jews first, Jews last and Jews always. In all too many cases after World War II when the emaciated but surviving Jews returned home they were not met with open arms, with pleadings of forgive us; they were met with pitchforks and worse and chased from their former home towns because how could they be accepted when everything they owned including their homes and shops had been divided up amongst their neighbors. It was easier to chase them off or even murder them after all, they must have died in the camps it would be said. When they were met and told honestly that the town had moved on and so should they, you want to know where they were told to run to? To Israel, go to your homelands in Israel, that was what they were told, and many tried but there the British were rationing the number of Jews who could legally make return to Israel, to make Aliyah. A paltry seventy-five thousand a year were being permitted entrance. Want to know where some of the Jews being refused entrance to Israel and had nowhere else to turn were held by the British? You probably already knew, the concentration camps, the very camps the Nazis held them in became their refugee camos when Cyprus overflowed with Jewish refugees. And after the British had let a number in, then the Arab nations made life difficult to unbearable to simply evicting their Jews. Many were expelled by one means or another, almost another million Jews who made their way to Israel and how many others to Europe or the United States, who knows exactly? These Jews were resented initially but were accepted and are approaching full equality as the two separated Jewish communities once again intermarry with each and the other and a new set of bondings between Ashkenazim and Sephardim Jews such that in the not too distant future Israel will have but one Chief Rabbi instead of the current two. The other choice would have made the insanity worse as a third Chief Rabbi would be necessary for Jews where their parents were from opposing camps like myself where my father was British and therefore Ashkenazim; he was sent to fight in Burma and met my mother in Bombay and thus he married a Sephardim and presto, a mixed Jew with a foot in each world and customs from where only Hashem knows for sure. The irony is that the Europeans and the Arab and Muslim nations of the MENA Region (Middle East and North Africa) all spat the words of “Why don’t you just go home to Israel,” into their faces. The sarcasm is their thinking living as a Jew in Israel would be their punishment when to the Jews, any and all Jews, “Next Year in Yerushalayim” is a dream come true, dreams of two thousand years come true. Those expelling us and claiming to force the Jews to Israel being used as a threat, missed the fact that it is the Jewish dream to live in Israel. To tread the dusty narrow streets in Old City Jerusalem, and to feel the joy of being in Israel despite the threats, despite any hardship, despite what others thought such a decree meant punishment, is our dreams realized. And just as Torah predicted, a nation built in a single day, Israel. On May 14, 1948, there was no Israel and at dawn of the next day there is Israel stretching from the shores all the way across the Judean Hills and half the way across the Jordan valley trimmed by the river, the very river Joshua led the first Israelis and still standing are the broken and crumbled walls of Jericho and the jewel atop the central hills lies Yerushalayim, our first and only true love, Jerusalem. Still we have brothers and sisters remaining out there, the not Israel and the place where it can happen again and is starting to happen again. We can hear the cries starting with the Rabbis, we can hold on to that we built, we will be protected, the government has laws, the rule of law is our protector. There is but one rule of law that will protect any Jew and that is Torah and Torah will only live and rule eventually in Eretz Yisroel. The Chief Rabbi of the Ukraine just a few short weeks ago was crying out that, ‘That can’t happen here,” and, “This is our home. This has been our home, these are our neighbors; they are good people.” Then it comes, the first note of that familiar refrain where the first chief of security in a town or city pronounces they cannot be made responsible for protecting the Jews. That one of the towns in war-torn Ukraine made this statement is almost understandable, that a town in Sweden also made this comment is far more troubling but that statement was made by the last police chief just before he was relieved of duty and a new chief of police who at least claims he can protect all in Malmo. That phrase, that feared phrase renouncing the responsibility for protecting the Jews as it has become hopeless to stand against the wave of oncoming hatreds which has possibly even infected some in the police though rooting them out would be problematic, it is so much easier to toss the Jews before those demanding human sacrifice, demanding human blood, demanding Jewish blood. It is a familiar face for those who know its history and we have met this face before, but before we were powerless and could not take up arms. Not any more as we have Israel and there we do make our stand once more and this time it should prove permanent. Baruch Hashem! But what is about to start in the United States will sound ludicrous and nobody will dare predict the monster which lurks in the fog of the future. Very few are capable of actually seeing through that fog and pierce the path that the world will take but almost anyone might claim to have a clear prediction of what is coming. 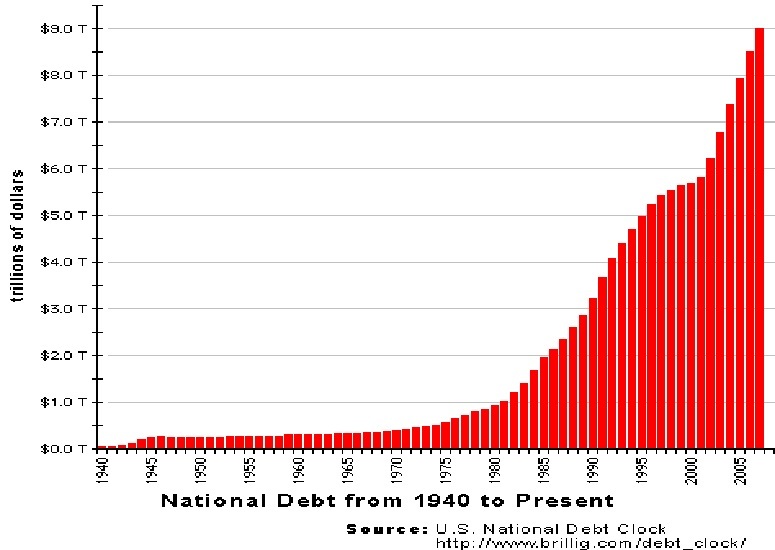 Anything we claim is to be seen comes from a study of what has happened before, how those times played out, what their correlation could potentially hold for the present situation. Every repeat of history is not absolute but more like the next refrain from a poem, we know the rhyming scheme; we know the meter and all that remains is to flush out the words, the actions, the intentions to come. The three most interesting communities come from, obviously the United States’ and a little less obviously France which has the second largest Jewish community outside of Israel and the third is a bit of a surprise as it is Britain. France is an easy prediction and we might as well cut to the chaff, France will eventually do what France has always done. During the Inquisition the French Monarchy surrendered the French Jews, later after the French Revolution the two sides of the revolution did agree on one item, the Jews had conspired against them. They both agreed the Jews held too much power and wealth and were obviously in league with the monarchy, the same monarchy which arrested and executed Jews in higher quantities compared to their percentage of the population. When the two winning factions from the revolution turned on each other, both sides decided that the Jews supported the other side and sent a high percentage fleeing or being executed. The fact that a percentage of Jews were fleeing meant that all Jews were guilty as suspected and charged and could never prove their innocence. Such remained an undertow within French elite and once again came to the fore in the Dreyfus Affair where Captain Alfred Dreyfus was accused of treason serving as the sacrificial lamb for a nasty intrigue amongst the General Staff. He was found guilty and sentenced to life served on the infamous Devil’s Island Prison Colony where he was held in solitary confinement and was eventually manacled to his bed which was nailed to the floor. Emil Zola took up the cause with his famous editorial article J’accuse. We have given this deeper coverage in our articles The Unkindest Cut of Anti-Semitism from August 12, 2015, and Israel Unfortunate Choice Ahead Due to State Department from Jul 19, 2015, as it has become a much more identifiable current in modern events. The United States is a very different case as, outside of Israel, the United States with four and a half million Jews and possibly fifteen percent more, it has the highest population of assimilated Jews very similar to Germany, France and Poland amongst European nations including western Russia. The Jews then as now were politically active supporting the socialist revolution wherever they arose. We witnessed how the French treated many of their Jews who either ended up in one of the major cities or had moved out of France or been murdered by the revolutionary parties. Still, German and Polish Jews in the major cities were indistinguishable from their fellow citizens. The Jews in Russia had supported the Russian Revolution but were seen by the Communists as Bourgeois and by the Bourgeois as Communists. The Germans once the Nazis came to power saw the Jew as a Capitalist while during the short rule by the Weimar Republic the Jews were seen as socialists or Communists, as both were feared by the Republic. Of course once the Nazis climbed to power the Jews were initially seen as capitalists before taking on the role as inferior excuses for human beings and thus a plague upon society which must be destroyed. During the late 1920s and 1930s the Jews saw the changes and simply denied what they saw. They stuck with their story that “It can’t happen here,” They were considered an intricate and vital part of the society and held positions of power and respect. They were judges, lawyers, doctors, professors, teachers and Ministers in Parliament. That all changed and changed with viciousness unrivalled in history starting with Kristallnacht, “Crystal Night”, also referred to as the Night of Broken Glass. These were pogroms spread across all of Germany where Jewish shops, homes and even the Jews themselves were set upon and destroyed with many burned to the ground of the two day span of November 9–10, 1938. Then the Jewish Laws were enacted forbidding Jews holding positions of status and slowly but surely dehumanizing the Jews as the other in the society, the cause of unrest, distress, economic hardship, basically whatever your problem a Jew was the cause even to almost include even illnesses. 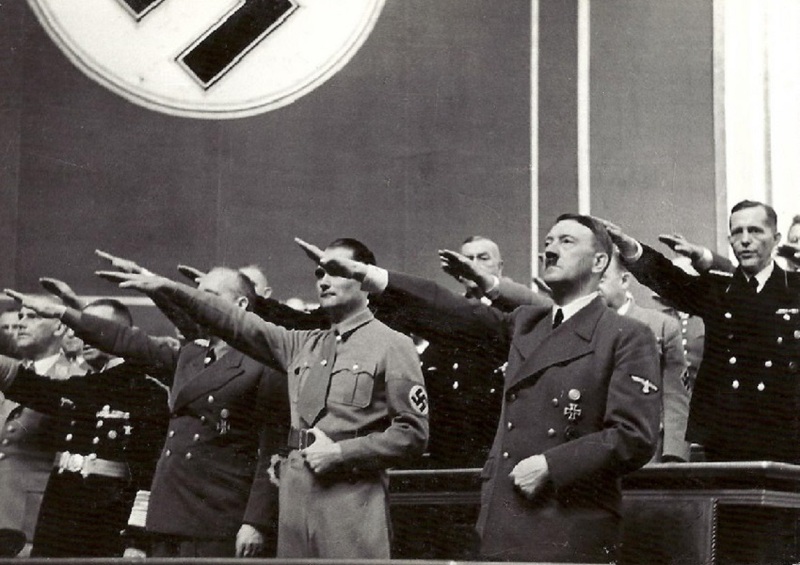 The Jews were cast as the ones opposing progress, being greedy and taking more than their share of wealth, controlling the media, entertainment, and worst of all opposing the Führer Adolf Hitler. Adolf Hitler the Führer was one of the top three murderers of modern history exceeded by Mao Tse-tung and Joseph Stalin. The rise of a visceral anti-Semitism started in the Beer halls and the halls of academia, specifically the college campuses throughout Germany. It reached across the Atlantic and took root in the United States with support from some surprising people who advocated euthanasia of those inferior and the infirm. This started with the Jews but did not end there as it spread to include millions of others, many for simply disagreeing with the method of perfecting the human race through selective breeding and euthanasia of those deemed inferior. They believed they could breed a master race of men over two meters in height, slender athleticism, blue eyed and other physical and mental attributes including the specific and approved political opinions. Amongst the Americans who were enamored with Herr Führer were Henry Ford, Charles Lindbergh and other leaders of major American corporations all of which were instrumental in implementing the growth of the Third Reich by supplying parts, knowledge, systems of production and raw materials along with political support. They were all members of Eugenics societies and believed fervently that the human race could and should be improved by sterilization of the inferiors which included Jews and other minorities. They were supporters of Margaret Sanger and her organization which is known as today’s Planned Parenthood. Planned Parenthood initially sterilized blacks in huge numbers and remains today the number one murderer of minority children and gets away with it calling it a choice. Add to this the anti-Israel, anti-Zionism and anti-Semitism rampant on many major universities and the parallels in the United States right now which has been aided by the Administration claims that the Jews are attempting to run the government and are trying to destroy all he has done and force the United States into a war with Iran to aid Israel at a grievous cost in money and troops, an insufferable cost in innocent American lives. Britain and the United States share a trait that we can only hope grows and remains strong. Amongst the Evangelical Christians there is this movement which might just save the English speaking Western world. Christians for Israel in its different organizations and leaders is are interesting groups as for Jews it is refreshing to have others who worship Hashem, even if they have their own manner and structures, who are not judging their holiness and success with Jews by how many Jews they turned to Christianity and instead seek mutual strength and advancing the cause of an open Israel and especially Jerusalem and other holy sites for all peoples of any faith to visit and enjoy in their own constructive manner. These Christians also hold that the Jewish People becoming reestablished in our homelands as a good thing which will, in its own time, assist all who worship Hashem whether they be Jews, Christians or whatever religion they claim and all can share in the holy sites, cities, synagogues, temples churches and burial locations of the forefathers of each faith which spawned here in the Holy Lands. The one thing which is guaranteed, Israel is going to need all the help she can muster in the coming years as everything builds towards a fateful climax, may it be a blessing to all when it comes. In the interim, President Obama does not appear to be making things for the better but all in its good time and for every day of relative bliss let us all thank Hashem in our own way.